Louis once asked in the Comments' Section how undercover operatives avoid using drugs. That's a common question, especially if you've watched some movies, such as The Professional, about bent law enforcement characters, such as Gary Oldham playing the part of an unhinged drug agent. The unspoken part of the above question is, or do you? Hey, even relatives have inquired, so I think nothing about being asked. In any case, Louis, this one's for you. In the movies, characters, events, and actions are exaggerated for effect. This increases the High Stakes for the protagonist and thus tension for the audience. Almost anything goes, whether it's true to reality or not. In real life, when it becomes known on the "blue telegraph" that a certain officer is using drugs, then his fellow officers will quit working with him because he risks being a dangerous liability to himself and to them. Depending upon the drug of choice, he may become hyper aggressive and uncontrollable (like Gary Oldman's character left photo). Neither the public nor that officer's supervisors will put up with that kind of activity for long. On the opposite end of the drug scale, his reflexes and judgment may slow down or become otherwise impaired, in which case no officer wants him as partner during arrests, raids or even common day incidents. Also, if during a court case, a defense attorney brings up the officer's use of illegal drugs, the judge will be outraged and the jury may decide that the defendant isn't much worse than the officer. In later years, my agency came up with a cute trick. Realizing that ANYONE using drugs can become addicted, they created a special program. Any agent with a drug problem was encouraged to come forward and receive counseling and rehab for that addiction. The program was free, didn't cost the agent a single cent. Of course once an agent entered the program, he no longer had a job. Sure, the program would rehab him, but he was looking at a definite career change, and rightly so. There's a strong conflict of interest in using drugs and working the streets. Too many wrong possibilities in that scenario. Okay, we've pretty much established that law enforcement and drug use don't go together, so how does an undercover avoid their use? That answer depends upon the circumstances. Here's a few personal anecdotes. In the early years when I'd go into a head house to make a buy, I'd take a bottle of Boone's Farm along because more than likely there would be six or eight people sitting in a circle passing joints. OPTION 1: I'm playing the part of a juicer, in which case I'd take a healthy swig and pass the bottle. The potential defendants were just happy I brought something to the party. OPTION 2: I quickly found that when the joint came round to me, they were mainly looking to see if I readily took it or tried to come up with a lame excuse. In that case, once I took it in hand, they usually relaxed. I'd hold the joint in my right hand while I negotiated for whatever they were selling, quietly transfer the joint to my left hand for a while, and then pass it to the next guy who was waiting for his turn. They never seemed to notice I didn't use the stuff. Most dealers just assumed you were going to use their purchased product later, but there were other times when you got put to the test. Now, you had to get creative. I was buying quantities of cocaine from an AWOL Marine who had every reason to be paranoid. 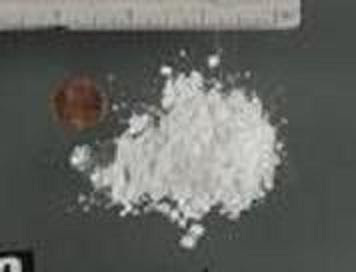 He set it up for the deal to go down at his dining room table, and fronted off his girlfriend to make the actual first transfer of drugs for money. He sat on a couch in the living room where he faced me from a distance and observed. Probably had a pistol concealed in the seat cushions. I say this because one hand stayed out of sight. Negotiations were pretty well finished. Then the girlfriend laid out a line on the table top and said, "You'd better try it first." That's one of those "Oh Crap!" moments. Conveniently, the phone on the wall by the dining room table rang. She turned to answer it. I quickly leaned forward, scooped the powder line off the table with one hand and made loud snorting sounds. She heard the snorting noise and saw later that the powder was gone, which was good enough for her. As a plus, her movement ended up blocking the AWOL Marine's view of what I was doing. People often assume things based upon their expectations. Naturally, when those two stern looking grunts in full uniform from the Corps showed up to get their hands on their once missing associate, he quickly assumed a bleak expectation for his immediate future. Had to be a long ride to Leavenworth for that boy. And of course, there was my informant who acquired a sudden case of reluctance during a case. "The dealer says if you're a federal agent, he'll be able to smell you out, and then he'll shoot us both." "Well then, we'd best go see how good his nose is." Having a slight sinus condition anyway, I tended to sniff from time to time, so now I deliberatly started sniffing loudly as soon as the door opened. Shortly after the introduction, and no longer trusting the informant to hold himself together, I cut the informant out and sent him packing. He was happy to go. The dealer and I proceeded to negotiate for several ounces of meth which was to progress to multi-pounds at a later date. All was agreed. Then the dealer laid out two lines of "crank." Since I had continued my sniffing act throughout our conversation, I now laid a story on him. "I'd like to join you, man, but the doc is doing a nose job on my nasal lining pretty soon. It's completely eaten through (a common occurrence for heavy snorters) and I can't snort anything for a while." "I know what you mean," he said. "Do you mind if I snort your line then?" After all, the stuff is still his until I buy it. And, that's some of the ways of avoiding usage. but mainly, it's whatever you can come up with under the circumstances. The most difficult times are when buying from heroin dealers. Every so often you'll get one of those cagey guys that wants you, as a first time buyer from him, to spike up a hit of his "smack" before he'll make a larger sale to you. Now, it's gun time. There are incidents of agents even going out third story windows to avoid being injected. One more aspect to consider. There is no quality control in illegal drugs. 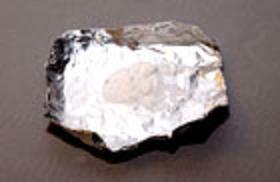 Unethical dealers have been known to adulterate their product with arsenic, lead and other lethal chemicals. Users die every day from "hot shots." And, even if the product is "good," then all those movie detectives who are shown dipping their finger in the powder, tasting it and then pronouncing it as high grade should now all be rehab or other institutions. Last story. I always wondered what happened to the Tribal Policeman who stopped a car of hippies decades ago on the Pine Ridge Reservation and found an open box of sugar cubes in their vehicle. "I know the sugar cubes didn't have any LSD dropped on them," he told me proudly, 'because I ate one and nothing happened." Now that's one heck of a field test, otherwise he could have ended up wandering the prairie philosophizing with buffalo, instead of reciting his car stop adventure to me at a law enforcement conference. Seemed to be a severe lack of judgment and training there. Hope this answers the question. Nope, professional law enforcement and undercover agents don't do Dope. Thanks, Louis. Anybody got any more good questions you'd like answered? I'd wondered about that too. Thanks for the info! Only a few ways to stay alive and and so many ways not to. Nothing like real-life expertise. Thanks, RT! Thanks, RT, for a good, informative article. Thanks, RT. That's great info! Wish I'd had this knowledge a few years ago when one of the folks in my writing group was commissioned to write the screenplay for a non-fiction book about undercover FBI officers who busted a biker gang. The writer decided to include scenes of the agent doing drugs -- even though the book explained that the agents didn't do them. The writer said, "I felt I had to. I mean, he'd HAVE to do the drugs, or the bikers would surely have been onto him. This crap that he didn't do them is just B.S." I disagreed, but didn't have anything to back up my arguement. Now, thanks to you, I do. 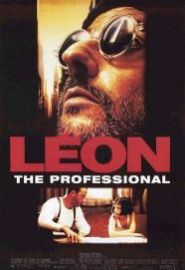 Very enlightening but I am really just writing to say, DAMN, I loved The Professional.